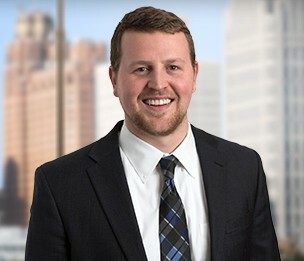 Kevin Schmidt is an attorney in Dykema's Bloomfield Hills, Michigan office. His practice is concentrated around transactional real estate matters. Mr. Schmidt graduated with honors from the University of Michigan Ross School of Business and Case Western Reserve University School of Law. While in law school, Mr. Schmidt served as a student-attorney in the Kramer Law Clinic where he performed legal services for nonprofit community development organizations. Mr. Schmidt also interned for a trial judge at the Cuyahoga County Court of Common Pleas. Prior to law school, Mr. Schmidt worked in the leasing and accounting departments of a national shopping center landlord.